The Knights of Columbus are an international fraternal organization started in the basement of St. Mary's Church in New Haven, CT in 1882. 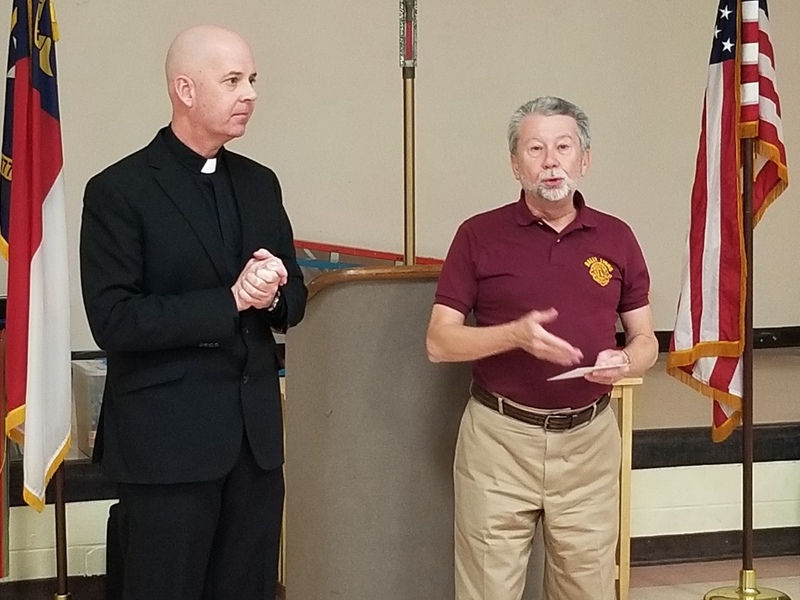 They were started to help Catholic gentlemen grow in their faith as well as provide a financial cushion for those who needed to provide for their families in an uncertain age. Knights of Columbus Insurance program is one of the hallmarks of the organization and is open to all members. Our Lady Star of the Sea Council #8143 is based here at St. Egbert and is headed up by Grand Knight Maher Saikali and Chaplain Msgr. Frank. The Council meets on the 2nd Thursday of the month following the 7 PM Mass. The Annual Seminarian Dinner was held on January 27 and was a great success. Fr. Chris Koehn was a great speaker for this event.